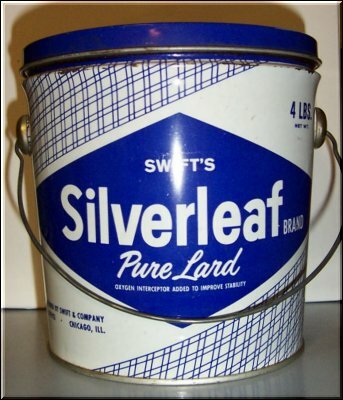 To most people looking at the above photos and asked what they were, the logical answer would be - "A 4 pound lard pail." Well, for me, it has a different meaning. This was a commonly used lunch pail for school kids in the early days. After all, why pay good money when these were readily available. 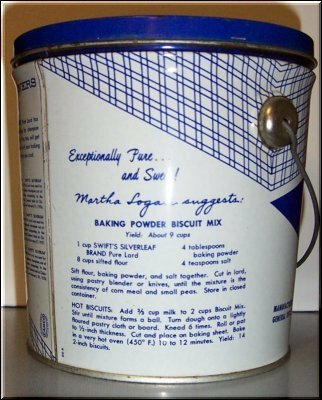 This pail carried such delicacies as butter and sugar sandwiches, roast beef sandwiches, fried egg sandwiches, homemade jelly sandwiches and of course the ever popular egg salad mixed with mustard sandwiches. I don't ever remember having peanut butter as a kid as we raised all of our own meat, had our own chickens and jellies and jams were made from the wild grapes and wild blackberries we picked when in season. I well remember days when several of the kids in the school brought egg salad sandwiches. The air was filled with the aroma of hard boiled eggs and immediately after lunch the teacher would open the windows and the lunch pails were removed to the cloak room. Each fall, mother and dad would purchase a barrel of flour and several 100 pound bags of sugar - except during the war when sugar was rationed. Mother had to experiment using Maple Syrup during the war and we purchased a small butter churn from Sears Roebuck at that time so we could make our own butter. 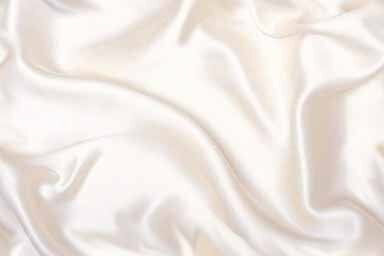 My dad never fell for the idea of the little plastic bag with the little bubble that you would burst then knead until the lardlike substance was supposed to make it butter. No matter what you did, it was still Oleo to him. Mother made her bread and doughnuts once a week and I well remember waking up in the middle of the night as the wonderful aroma of the rising bread throughout the house drifted upstairs and I knew that for breakfast the next morning there would be loads of fried dough, which naturally was fried in lard. Doughnuts too were fried in lard and the shortening in them was also lard which I remember seeing mother dip her spoon in the hot lard and mix it in the doughnut dough. My dad always had at least two doughnuts each morning for breakfast and I remember sitting at the kitchen table eating more than two nice warm doughnuts with maybe a glass or two of ice cold whole milk. It's interesting to note that with all the lard that was eaten, my dad's mother lived to be 96, my mother's mother lived to be 98 and my own parents lived to their mid 80's. Whether they had cholesterol problems or not, their doctor never mentioned it, meanwhile, I'm popping the lipitor. While I'm rambling here, I might as well mention that mother also made soap. Now this soap was nothing you wanted to use to wash your hands and face with. I have never found the recipe she used, but I think it was made from melted beef fat and lye. It was yellowish orange and she used to cut it into bars. I didn't pay that much attention as to just how she made it. She used to put a bar in her wringer washer after we got electricity. Prior to that she used to use a portable washing machine that you placed on the stove and turned a crank and she used to use the yellow soap in that. We kept that little portable washing machine as a momento until the barn fell down and it got jammed up pretty good. Of course she also had the old washboard for the really tough to get clean clothes. Who would have thought that a little 4 pound lard pail would have gotten me to ramble on for this long a time. As I sit here at my computer typing this, I say,"Do I really yearn for the good old days? Naaaaaaaaaaaaaaaaaaaaah!"